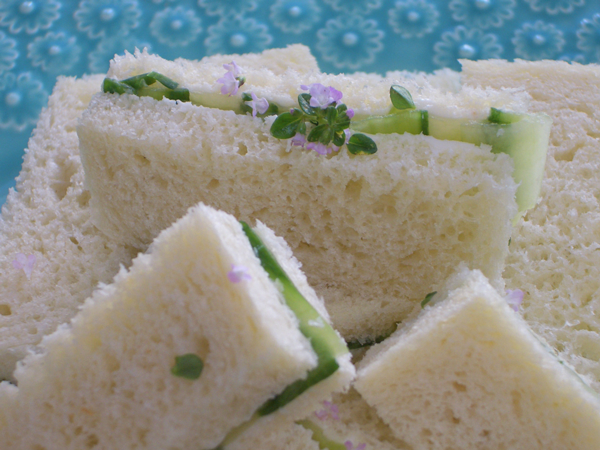 Cucumber sandwiches are the quintessential tea sandwich. Over time you may find you prefer others to these simple guys, but I find that even people who don’t like cucumbers look for cucumber sandwiches at a tea party. 1 English cucumber. You can use any type of cucumber, but English tend to have fewer seeds. 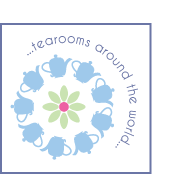 If using another type you may need more than one. If using a waxed cucumber you need to peel it. Note: Have damp paper towels at the ready to cover the sandwiches as you make them. This will keep the bread from drying out. Wet the towel and wring it out, don’t leave it sopping. You can peel the outside of the cucumber if you don’t want the skin’s flecks of dark green or difference in texture in your sandwich. Cut the cucumber in half to make it easier to manage. 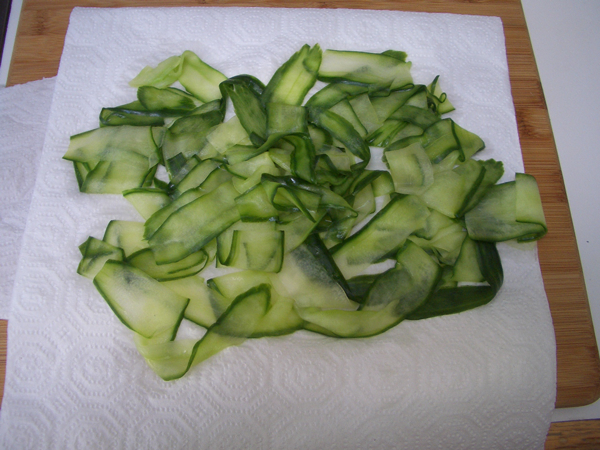 Using a peeler or mandoline, slice the cucumber into paper-thin slices, going round the whole of the cucumber and stopping when you reach the core of seeds. 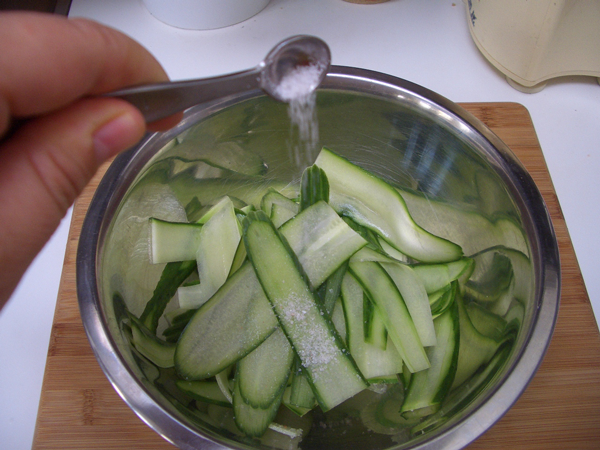 Toss the sliced cucumber with the salt and set aside for 30 minutes. 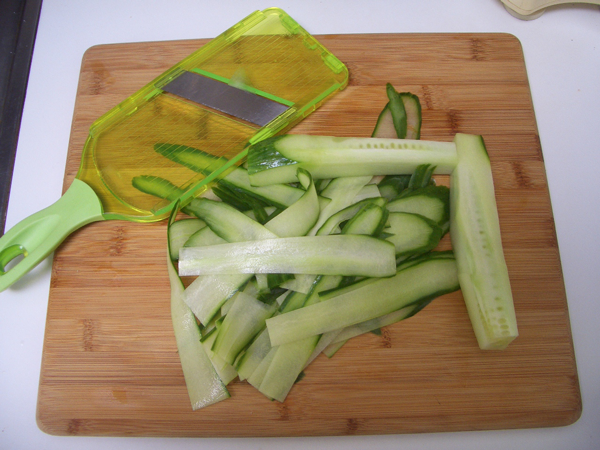 Put the sliced cucumber in a colander and rinse off any excess salt, toss to drain off all moisture. Turn out onto paper towels and thoroughly pat dry. Cucumbers contain a lot of moisture, so be thorough. 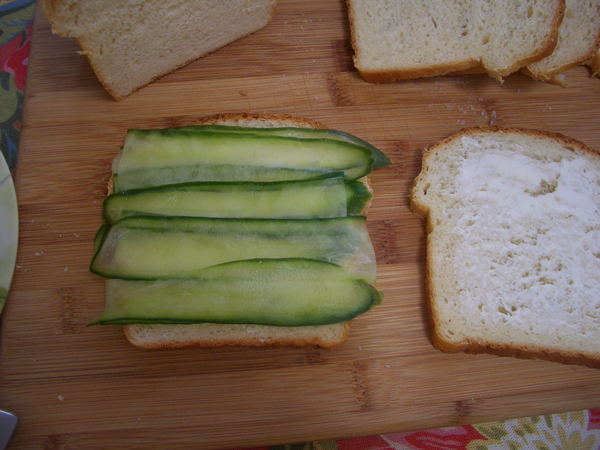 Add two layers of the sliced cucumber. Add top layer of bread. 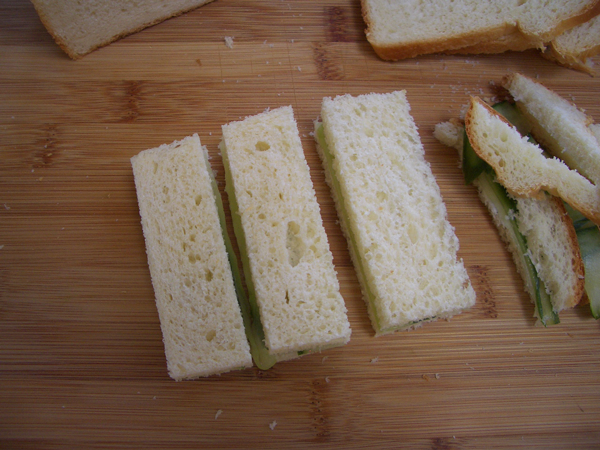 Press down on the sandwich a bit to encourage things to hold together. 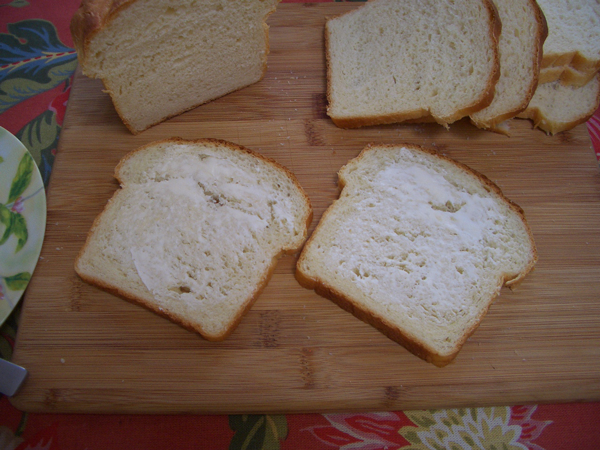 Using a sharp knife or bread knife carefully remove the crusts and cut into thirds. Whether serving the same day or the next, the sandwiches should be covered with damp paper towels and either covered with plastic wrap or put in an airtight container and refrigerated. Note: Adding edible flowers makes the presentation even better. I used thyme flowers for this photo.